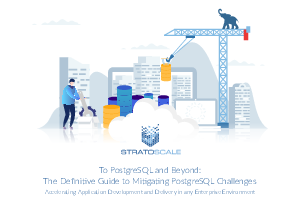 This eBook offers a practical hands-on guide to deploying, managing and scaling PostgreSQL in various environments, in the public cloud and on-premises. With the ongoing shift towards open-source database solutions, it’s no surprise that PostgreSQL is the fastest growing database. While it’s tempting to simply compare the licensing costs of proprietary systems against that of open source, it is both a misleading and incorrect approach when evaluating the potential for return on investment of a database technology migration.